Creating an energy efficient home can be beneficial for a number of reasons. As most people spend the majority of their time indoors, comfort is crucial. By implementing energy efficient measures, you can improve indoor comfort by better controlling air, heat, and moisture throughout the home. Energy efficient buildings also use less energy and cost less to operate than their non-efficient counterparts. This can benefit both you and the environment. Unfortunately, making upgrades for energy efficiency can be costly. If you already have a first time home buyer loan and want to make energy efficient improvements to your new home or update your current home, you may want an energy efficient mortgage. Taking out an energy efficient mortgage could mean increased comfort in your home and more savings in your pocket. Whether you are choosing to buy, sell, remodel, or even refinance your home, an energy efficient mortgage (EEM) can be applied to most home mortgages even a first time home buyer loan. An energy efficient mortgage is federally recognized and can benefit both buyers and sellers in the real estate market. Most buyers who qualify for a home loan will also qualify for an energy efficient mortgage loan. There are many reasons that homeowners choose to take advantage of energy efficient mortgages. Some use an EEM to improve on an existing home which can be valuable when they go to sell later on. Others use it to increase their home buying power when investing in an energy efficient home. Energy efficient mortgages are insured by the U.S. federal government through certain programs like the Federal Housing Authority (FHA) or Veterans Affairs (VA). These programs allow borrowers who may be denied a loan otherwise to pursue energy efficiency in their homes. When you choose an energy efficient mortgage, you are essentially using your mortgage to finance home energy projects designed to reduce your home’s energy costs. With an EEM, you may qualify for a larger loan amount then you would ordinarily get as the expenses relating to the energy efficient improvements are also factored in. When buying a home, for your first time home buyer loan you can choose an energy efficient mortgage right from the start. If you already own a home and want to implement energy efficient measures to your existing property, you can also choose to refinance with an energy efficient mortgage. Just like a traditional mortgage, an energy efficient mortgage is paid through a standard monthly payment direct to the lender. As the EEM is actually part of the home mortgage, just one payment is made monthly. This type of arrangement differs from unsecured loans which are paid separate from a home’s regular mortgage payment. Also unlike unsecured energy efficiency loans, your home is used as collateral when getting an energy efficient mortgage. That means if you fail to make regular payments, the lender has the option to repossess your home. However, this also means there is a lesser risk to the lender. Another benefit to consider when comparing mortgage loans is the tax advantages. Similar to a conventional mortgage, an energy efficient mortgage builds interest which is tax deductible. 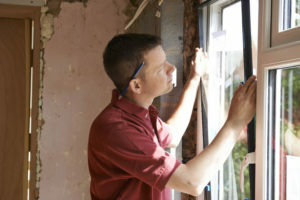 This can result in significant savings over time compared to the savings offered by unsecured energy efficiency loans. Of course, there are some downsides to an EEM. The application process of taking out a loan can be time-consuming. Most lenders require a home energy audit before approval can be made. However, depending on the circumstances your energy efficient mortgage loan can be processed quickly, allowing you to get started with your home improvements. Not sure if you are a good candidate for an energy efficient mortgage? An EEM may be right for you if you are comfortable using your home as collateral for your loan, and have enough equity to cover the costs of your project. An energy efficient mortgage may also be right for you if you have sufficient tax liability to take advantage of deductible interest from your home improvement projects. 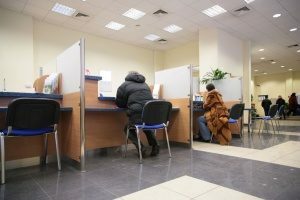 If you take out an EEM, you will also have to be okay with waiting several weeks to close on the loan. While the guidelines regarding the types of improvements you can do in your home are not overly strict, you do have to adhere to the rules to ensure that they qualify. Some of the most common examples of improvements made under an energy efficiency mortgage including replacing a cooling or heating system, replacing windows or doors, or fixing or replacing an inefficient chimney. 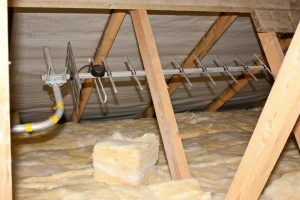 Under an EEM, other types of improvements may also qualify such as insulating a crawl space, attic, air ducts, or pipes. 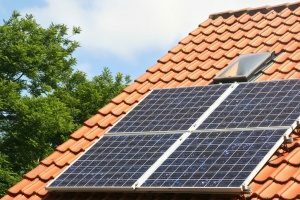 In some cases, an EEM will cover the cost to install various solar technologies. Other types of energy efficiency upgrades may also be covered by an energy efficient mortgage. Be sure to speak with your mortgage broker to determine if certain projects can be completed using your EEM. In addition to various weatherization measures designed to keep your home comfortable, your mortgage may also cover water heaters and new “cool” roofs. Depending on the lender you choose, your mortgage may also include the purchase of energy efficient appliances such as refrigerators, washers, and dryers. These types of upgrades can result in substantial savings while also increasing the value of your home. Whether you are shopping for a first time home buyer loan or are a seasoned real estate pro, you may be considering important energy efficient upgrades for your new or existing home. While energy efficient home loans have been around for a long time, many homeowners are unaware of their presence. Rolling an energy efficient mortgage into your existing mortgage is a smart way to pay for energy efficient improvements while you pay off the principal of your home. Want to learn more about energy efficient mortgages? Contact an experienced mortgage broker in your area.